Supporting over 45 currencies, EcoPayz boasts an advanced and free online payment platform where users can manage their funds quickly and easily. 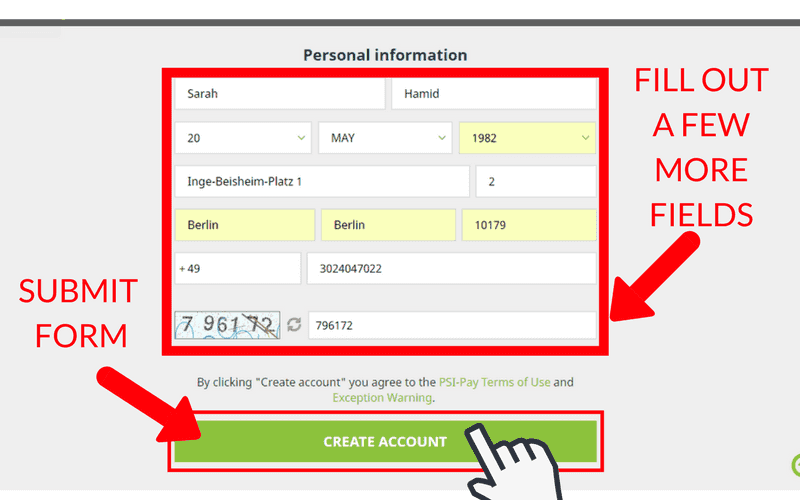 In addition to being widely accepted by online vendors worldwide, one of the best features of EcoPayz is that sending and receiving money between accounts takes only a few seconds. Essentially EcoPayz is an e-wallet that allows you to make lighting quick online payments and you can even order a prepaid card to withdraw funds from your account through an ATM. You can choose a free account or upgrade to one of the premium accounts (Silver up to VIP) to upgrade features such as daily transaction limits and lower fees. The online payment platform also allows you to deposit money through a wide variety of methods, making it an ideal payment method for online casinos and their members! 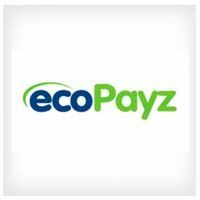 Which Online Casinos Accept EcoPayz? Because EcoPayz is such a simple and hassle-free payment option there are plenty of excellent online casinos that will allow you to manage your finances using this e-wallet. EcoPayz is widely accepted by most reputable casinos, and you can find our top picks in the list below. Can I Claim Casino Bonuses Using EcoPayz? All EcoPayz depositors are eligible for casino bonuses at the online casinos listed on this page. This means that you will receive the welcome bonuses once you sign up, if you’re a new player, and can also claim other available deals using this payment method! Most welcome bonuses come in the form of a deposit match bonus. This means that the moment you make your EcoPayz deposit, which can take as little as a couple of hours, your account will be topped up generously before you even start placing any bets. Whether you’re playing from home or on the go, EcoPayz is incredibly easy to use on mobile and you can manage your bankroll no matter where you’re playing from. Does EcoPayz Have Any Fees? 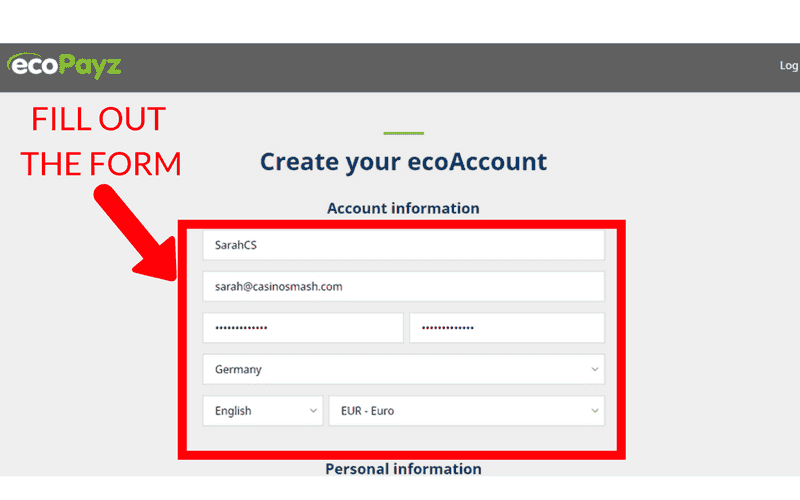 You can also convert currencies when using your EcoPayz account, and depending on the level of your account, the costs will range between 1.25% and 2.99%. For more information on fees be sure to check the EcoPayz official website. 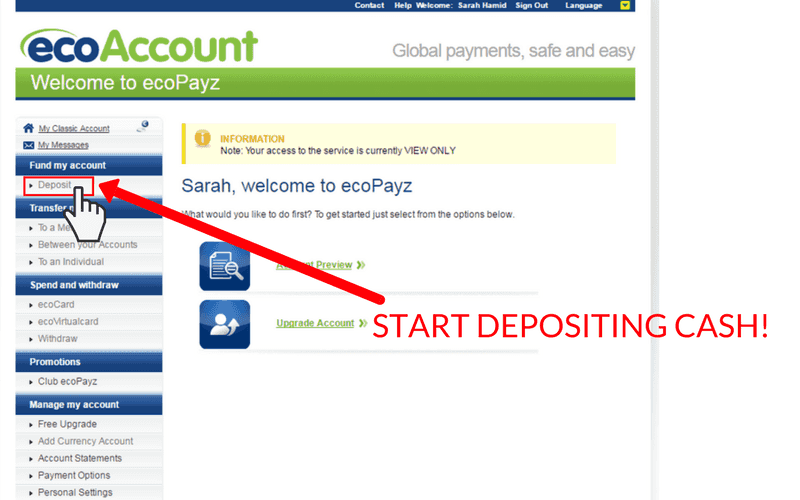 Setting up an EcoPayz account of one the easiest registration processes for online payments we have ever experienced. 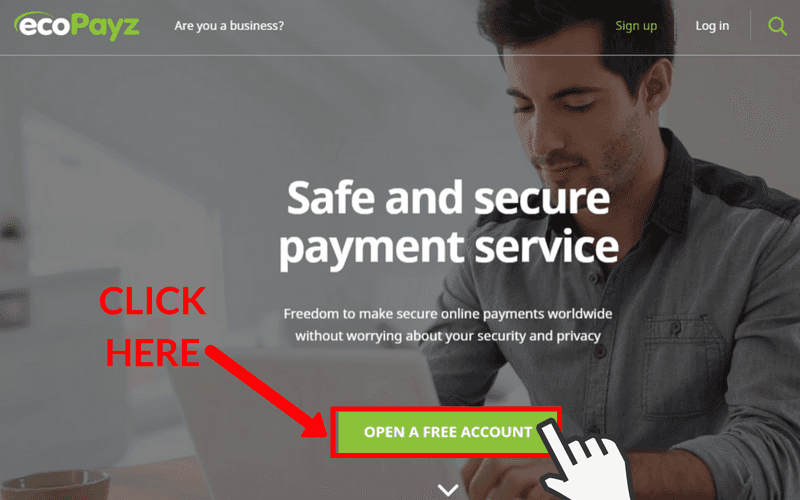 In just four simple steps you can start topping up your account, and you can find out exactly how by following the steps below.